Red Queen as you all probably know has had beyond lots of hype around it for months. This was one of those cases for me where I think the hype hurt it. I know I am probably the only person in the world who thinks though. I went into the book expecting to have my mind blown but this didn't happen for me. I did enjoy the book though! I just spent a lot of the time wondering why everyone thought it was so exceptional. If there hadn't been so much hype I may have given it a higher rating but because of this hype I did find myself disappointed. Don't take what I said above as a "I did not like this book" because I did. I definitely did enjoy the book. The plot was interesting and there was action but I thought it was up to par with lots of other fantasy books out there not above them like others think. The one specific downfall for me was I did not end up feeling a connection with or between any of the characters. I felt disconnected from them and because of that I don't think I was invested in the story as much. Which made the reading a little slow going for me, I also did not see the chemistry in any of the possible romances. The writing in the story was great though and I really enjoyed the plot. I thought the plot was well planned out and I did think it was unique. I really enjoyed the aspect of the rebellion too. I enjoy books about the lower class coming together to over throw the higher power. I also did not see the plot twist coming. This added a little more oomph to the book at the end. I give Aveyard a ton of credit for this. I am excited to see where she takes this story next and will be picking up the sequel. 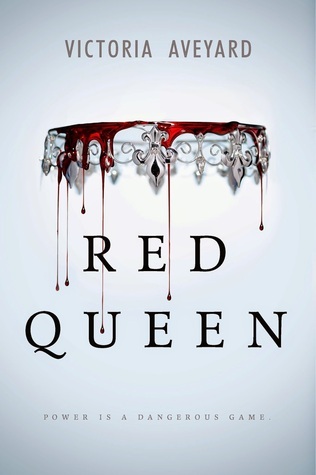 If you enjoy fantasy books about war/rebellions, deceit, and betrayal I would suggest picking up Red Queen. When I don't have any connection to the characters in a book, the enjoyment for it dwindles. I really hope I find that this one lives up to my expectation! Characters are very important to me in a story. I hope this one meets your expectations! I'm looking forward to reading this one and I'm glad to see you mostly enjoyed it, but I know what you mean---it's hard to get past having a disconnect with the characters! Great honest review!